ABOVE: Teresa pauses at the barre during a break between rehearsals for American Midwest Ballet's spring 2012 production of 'Momentum'. During her senior year at Marian High School in Omaha, Teresa spent her time juggling her school work with dance training at Motion 41 Dance and rehearsals with American Midwest Ballet’s second company, of which she is a founding member. ABOVE: From recitals to rehearsals. 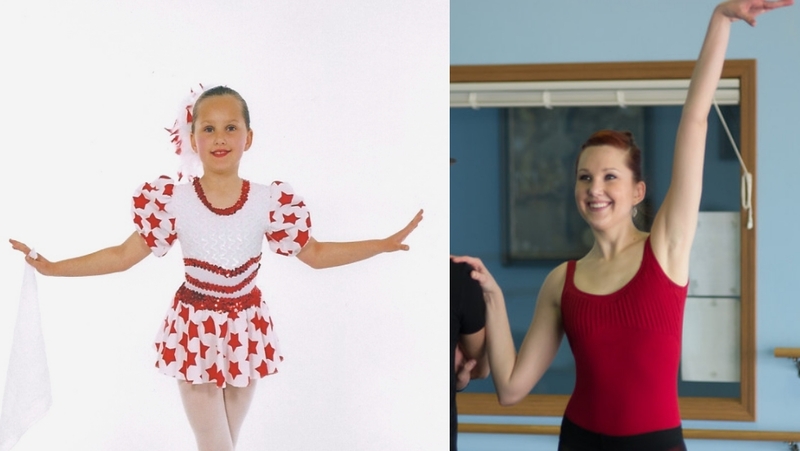 Before graduating high school in 2011, Teresa received one other job offer for a trainee position in Nevada but decided to accept an apprenticeship with American Midwest Ballet instead. 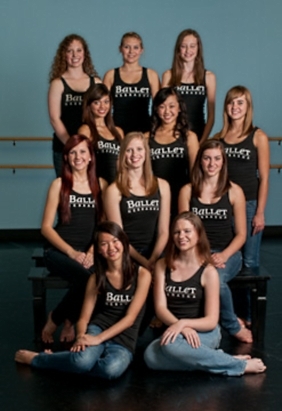 “I love this city and the small yet incredibly professional atmosphere at American Midwest Ballet,” says Teresa.